Kokomo, Ind. – The Kokomo Jackrabbits, a summer league baseball team of college players and professional prospects as well as the newest member of the thriving Northwoods League, announced today a rebranding effort that will infuse an extra dose of fun and entertainment into the franchise and the fan experience. The move by ROC Ventures, the owner and operator of the Jackrabbits franchise, is an investment in the Kokomo community and a commitment to bring a best-in-class fan experience to the team’s supporters. In an effort to overhaul the concession offerings, ROC Ventures is working to bring new, interesting and exciting food and beverage options to Kokomo Municipal Stadium. New this season includes a number of premium fan experiences, including the Hop Yard, which includes all you can eat access to delicious food options, and bottomless beverages, including up to three beers per fan. Additionally, the Jackrabbits’ VIP Tables, which offer access to a high-end food menu and a wait staff, and Club Level options that feature all you can eat and drink access, are outstanding options for entertaining groups, client events or business outings. The rebranding effort also includes a modern update to the Jackrabbit’s logo, colors and jerseys for the 2019 season, its first in the Northwoods League. Established in 1994, the Northwoods League was the first for-profit summer collegiate baseball league. Participating states include Minnesota, Wisconsin, Michigan, Iowa, Illinois, North Dakota, Indiana and Ontario. 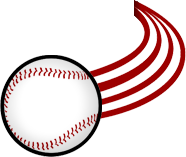 The Kokomo Jackrabbits are a college summer baseball team based in Kokomo, Indiana. The Jackrabbits play at the 4,000-seat Kokomo Municipal Stadium in downtown Kokomo, and their inaugural year was 2014.